Ho Hway village is about 30 miles east of Lashio, in Northern Shan State, Myanmar. It is close to the border with China, where poppy growing is common and is overseen by Chinese businesses. 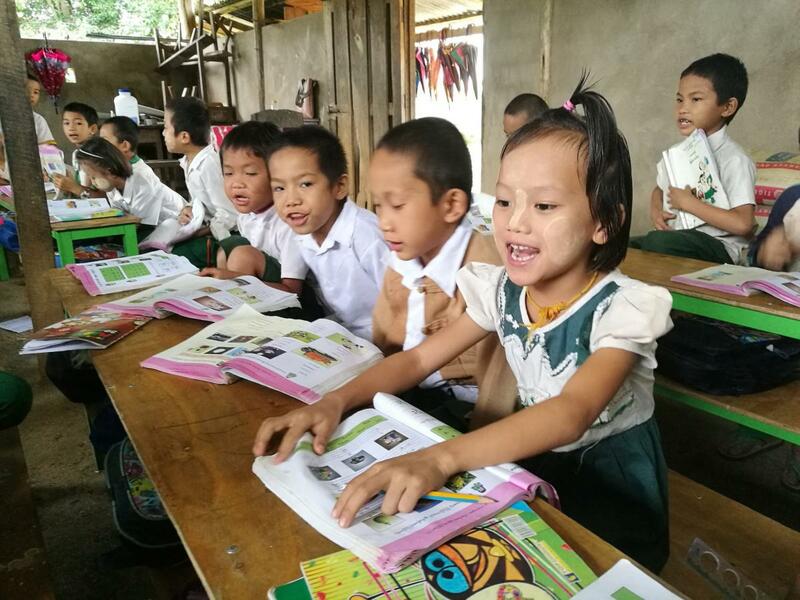 Because of fighting among armed groups, the government has largely been absent and provides little for education or healthcare. (A cholera outbreak occurred in 2012). 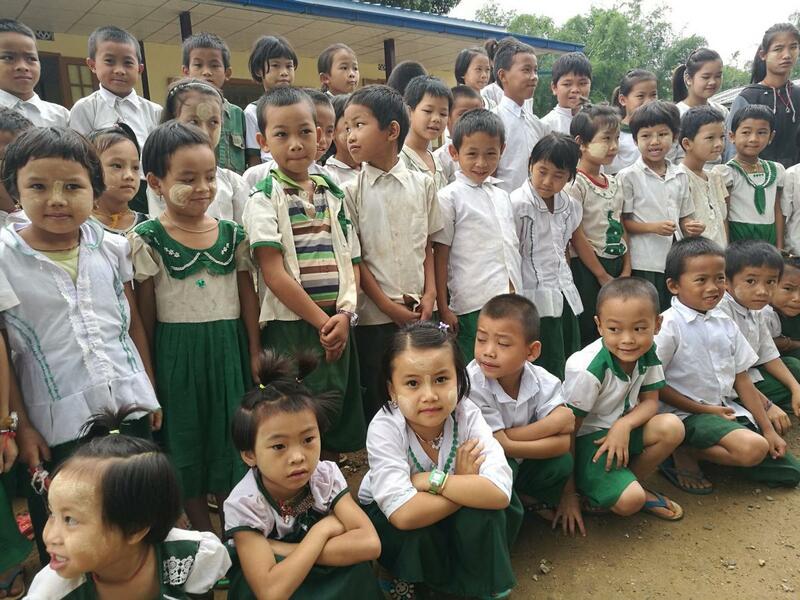 This village’s primary school needed a permanent building. The school was first located in a monastery building and then moved to a makeshift bamboo and thatch structure. Before the temporary school opened, children had to walk 45 minutes to attend primary school in another village. The village is in a conflict zone, with fighting among various militias and government troops making that walk very unsafe. Students sometimes could not return to their families for several days. BSB was introduced to the school and the community by Thaw Tar, a previous BSB partner who also helped organize this project. The community has been very supportive and engaged with their children’s education. For this building project, community members contributed stones, sand, bamboo scaffolding, labor to dig the foundation, and much more. The new building provides classrooms for the 66 students that were previously crowded into the 14’ by 25’ bamboo and thatch building that was intended for no more than 25 students. The new building provides a safe learning environment and meets government standards, making the school eligible for teachers’ salaries to be funded by the government. The new school building was made possible by the generous donations of Cathryn Thurow, Bob Cornwell, and Bob’s family members. 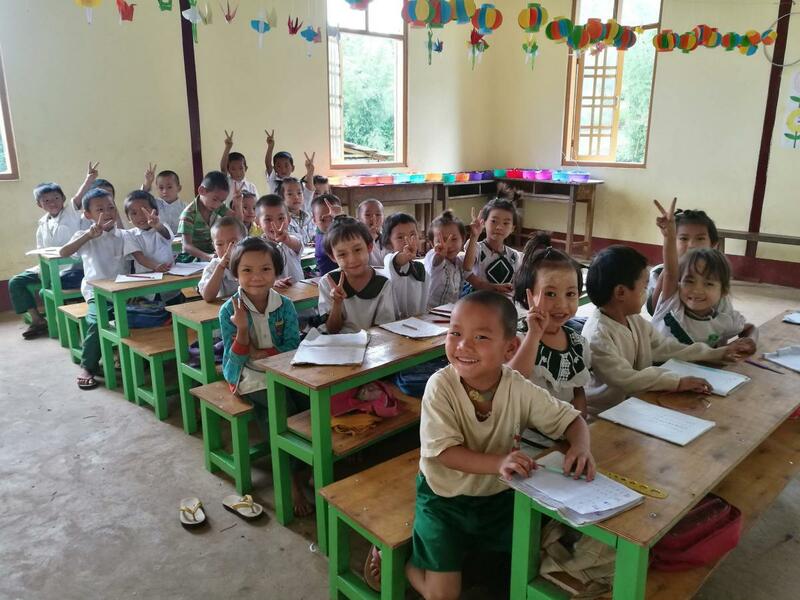 Ho Hway Village Primary School is dedicated to the teaching careers of Maxine Soash Cornwell, Nellie Soash, and Robert Cornwell Sr.
Ho Hway Village Primary School is a new school near Lashio in Northern Shan State. The school replaces the makeshift bamboo and thatch structure the village constructed so children did not need to walk 45 minutes through an unsafe conflict zone near the China border. 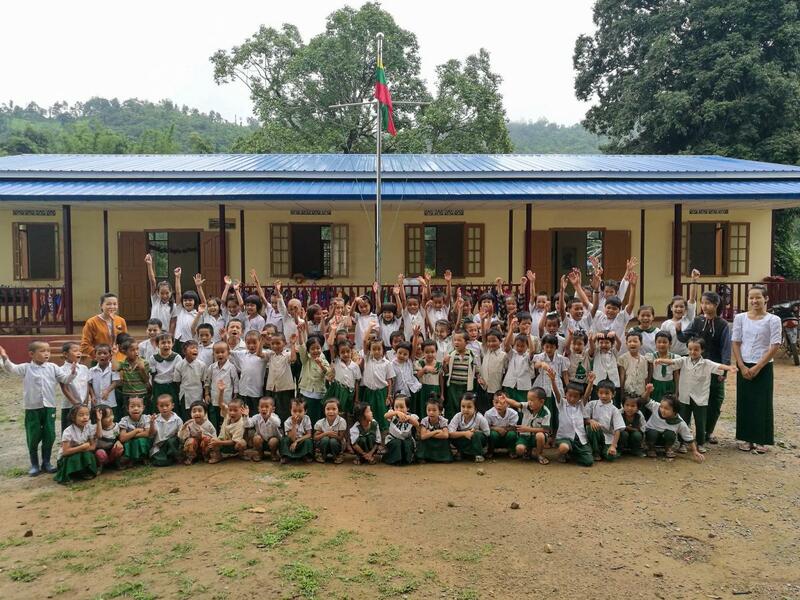 Ho Hway Village Primary School Ho Hway Village Primary School is a new school near Lashio in Northern Shan State. The school replaces the makeshift bamboo and thatch structure the village constructed so children did not need to walk 45 minutes through an unsafe conflict zone near the China border.